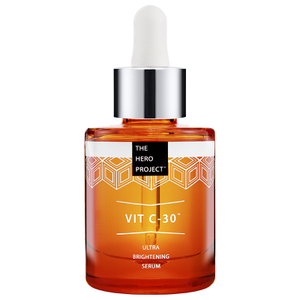 Explore the range of innovative skincare products from The Hero Project here at Mankind. 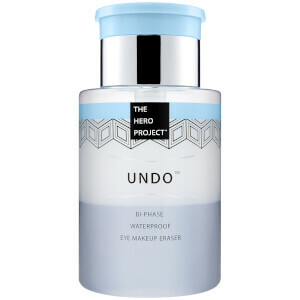 The Hero Project is a British beauty concept; creating even better versions of your favourite can’t live without beauty products. These scientific formulas are improved and updated versions of your favourites to rid your grooming shelf of clutter and provide you with products that you well and truly love. The Hero Project Double Blur Skin Protection Gel is an advanced, HD skin perfecter to get your skin camera ready in a flash. With a transparent, lightweight gel formula, the Dual Diffusion Technology™ polymer microspheres scatter light, creating an optical illusion on the skin for a uniform, smooth, flawless complexion. By optimising light reflection, it undetectably fills in the appearance of wrinkles and effectively blurs imperfections to create a natural looking base. Housed in a no-waste airless pump, it softens skin, minimises shine and evens out redness for an airbrushed, matte finish. It’s also vegan friendly and free from parabens, sulphates, alcohol and mineral oil! 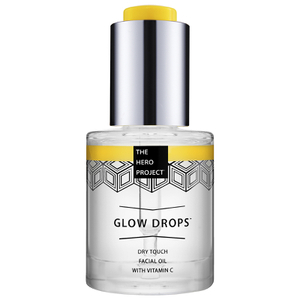 The Hero Project Glow Drops is an ultra-silky, dry touch facial oil; the secret to gorgeous, glowing skin. Formulated with 98% naturally derived ingredients, these pampering drops work to brighten and nourish your complexion in just one step. 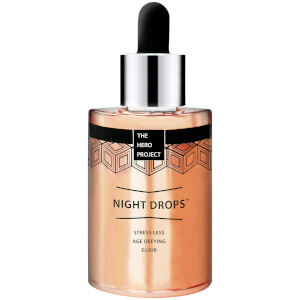 Housed in a bottle with a push button dropper and smart base dimple, no product is wasted so each and every drop delivers an intensive dosage of nutrients and vitamins to your skin.